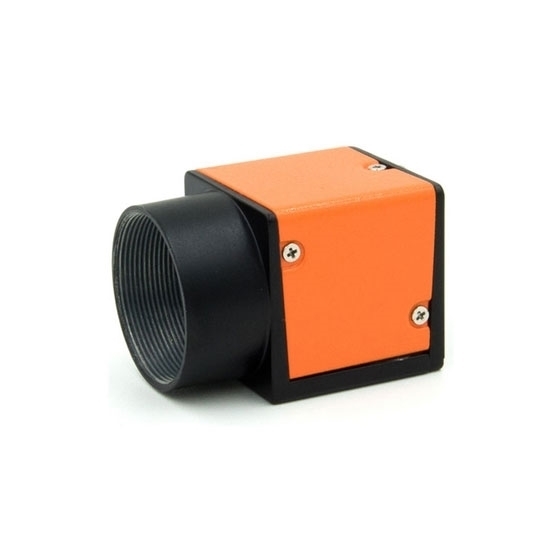 1.3 Mega Pixel (1280x1024) industrial camera, Monochrome/Color, is compact size and rugged shell, equipped with global shutter, USB 3.0 interface, and has a feature of high frame rate 210fps, format 1/2" CMOS. This camera distinguishes itself by high reliability and high cost-performance. 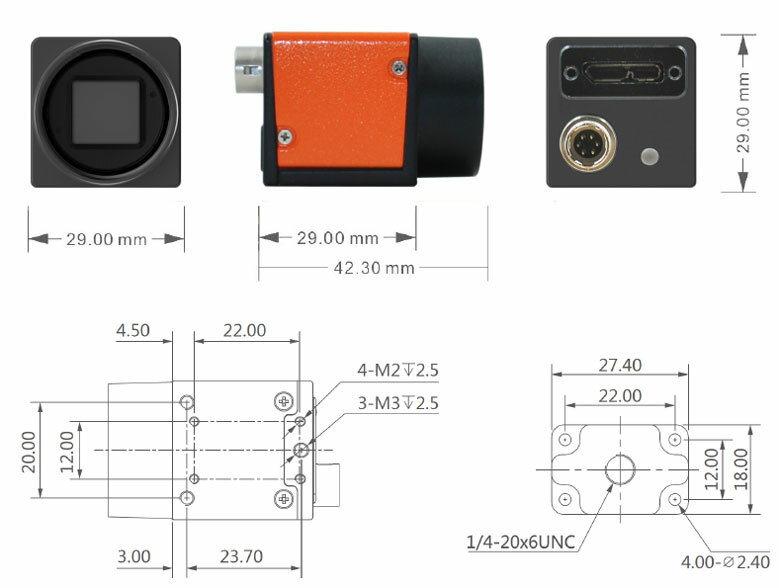 USB 3.0 vision industrial camera is an area scan with 1280x1024 (1.3 Mega Pixel), 1/2" CMOS and 210fps. This industrial camera has a high cost-performance, support Plug-and-Play, and also could work stably in a variety of harsh environment. It is suitable for 3D scanning, motion capture, trajectory analysis and other fields. Tips: What does the industrial camera need to match with the image grabber? Black-and-white analog signal camera has two formats, namely the CCIR and RS170 (EIA). Generally, the image grabber supports the two industrial cameras at the same time. Each card only supports a camera within a resolution range. If the special functions of an industrial camera need to be applied, confirm whether the card supports the function firstly. For example, if you want several cameras to take photos at a same time, the image grabber must support multichannel; if the camera takes a progressive scanning, the image grabber must support progressive scanning. Confirm whether the interface between the industrial camera and the grabber is matched, such as the Camera Link, Firewire1394, USB 3.0, and GigE.